Movies, television productions, music videos and computer games all rely on finely crafted soundtracks to heighten the viewer’s sense of enjoyment and to fully immerse them in the action. This BA (Hons) Degree in Music Production will equip you to use real-life recording studios and production suites to compose, create and deliver music of the highest quality. This programme embraces learners from a variety of musical backgrounds, such as instrumentalists, vocalists and group musicians looking to broaden their knowledge and skills, alongside those with ‘non-traditional’ musical skills and experience such as programming, sequencing, recording, mixing, and DJ-ing. 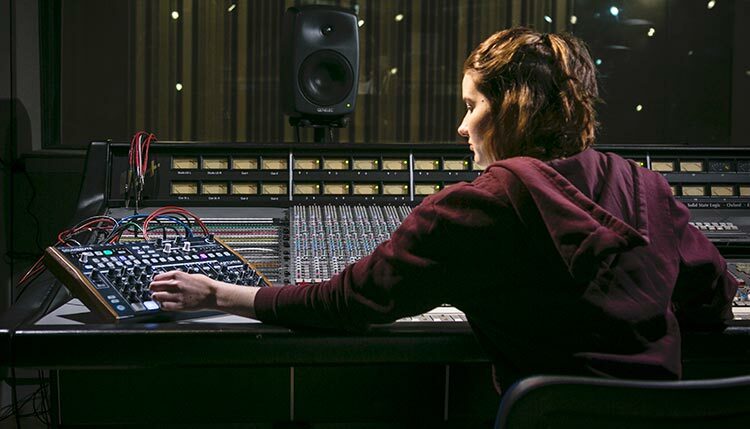 With the significant benefit of hands-on experience in Pulse College’s world class facilities at Windmill Lane Recording Studios, you will be taught beyond the standard levels required by academic institutions. This practical experience is an essential element of our unique Degree programme. 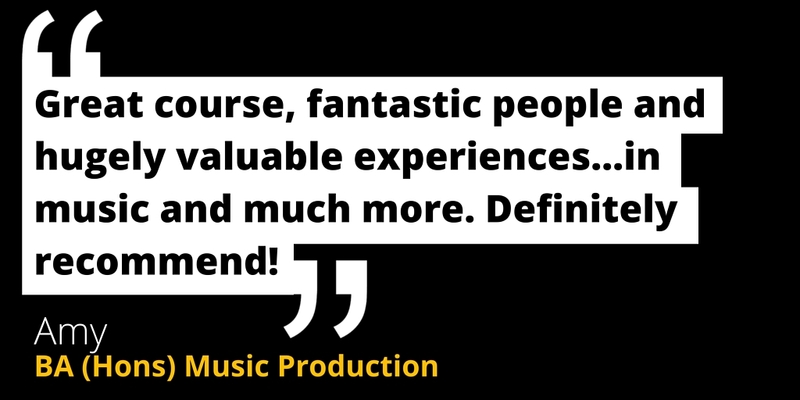 Using the industry standard software and studio equipment available at Windmill Lane Recording Studios, you will work with our professional lecturing staff and industry guest speakers to develop a combination of practical skills, underpinned by theoretical lectures and tutorials. As Ireland’s only Avid Pro Tools Pro School (and one of only six in Europe), you will acquire official certification in Avid Pro Tools up to expert level (310M or 310P). Alongside studio and live recording, this programme develops skills in critical listening and audio analysis, investigations of form and aural training, and music theory. You will also learn vital skills in the online promotion of music, project leadership, and marketing. You will learn how to set up the hardware and software of a music production suite to record, edit and mix music. You will learn how to programme Drums and Beats, and how to use Samplers and Synthesisers. You will learn how to use industry standard Digital Audio Workstation software (Pro-Tools and Logic Pro X) to record and edit audio and MIDI. You will learn how to produce music from conception to final mix-down, including the use of effects and automation, in a professional workflow. You will be introduced to the operating principles of modern recording studios. You will gain insights into audio processing and the operation and signal flow of analogue mixing consoles. You will complete a number of recordings to understand the principles of capturing sound. You will develop your understanding of musical theory, analyse musical structure and form (from Rock and Pop music to Classical and Jazz) and Aural Training skills. You will develop your notational skills using Sibelius notation software to convey musical ideas to musicians with musical vocabulary. You will develop your musical understanding by exploring genres of music out of your ‘comfort zone’. You will also expand your musical vocabulary and analytical skills by exposure to wide range of musical works from various musical genres and periods in history. You will learn how to recognise the stylistic traits of music production in a historical context and develop your critical and contextual language in relation to music production. You will get a broad understanding of the music industry, its various roles and structures within the industry; the commercial, the regulatory environment, and the wider music culture. You will be introduced to the principles of sound, estimating changes in sound frequency, sound level, band limitations and irregularities, distortion, noise, etc. You will develop your competence and confidence in programming Samplers, Sequencers and Synthesisers You will learn advanced automation and synchronisation techniques in Post-production and to technically manage the interchange of projects between recording studios. You will learn the processes involved in composing music for TV and Film; It also aims to expand your musical vocabulary and analytical skills through studying the craft of composing to image. Emphasis is placed on developing your own compositional techniques. You will gain an understanding of the theory, the technologies, and practical skills central to the production and postproduction of sound for virtual environments, and the role of sound design effects in other media. You will develop your foundational knowledge of musical theory and aural training skills. Musical forms in popular and contemporary music genres will be analysied. Notational and theoretical skills will be applied using Sibelius software.You will develop your musical vocabulary to convey musical ideas to musicians. You will work in the role of a modern music producer utilising technical and interpersonal skills to facilitate a project from pre-production to completion. You will develop your research skills such as developing a research idea, investigating prior work in the area, writing a literature review and evaluating previous studies. You will learn the live sound environment, health & safety, equipment, techniques and standard procedures utilised in producing live sound for an event. You will understand the creative and communicative industry of which you will become a part. Key aspects of the media sectors market structure and development will be addressed. Other areas covered include marketing, finance, audience theories and entrepreneurship in the media sector. You will work at a professional level in the role of Music Producer. You will source a client and plan and develop a project through negotiation with their tutor to facilitate the smooth flow of a project through its various stages from pre-production to completion. You may select to present an academic dissertation or a dissertation by practice. You will explore new ideas through research; develop independent research and learning skills; develop the skills necessary to plan and produce an extended, formally written document; and develop creativity through independent practical work and expand knowledge in areas of personal interest.This module will be the culmination of your study. You will explore, through research and writing, subjects deemed worthy of academic investigation, or the development of new ideas through practice based project work. You will develop your recording skills to a professional industry standard including pre and post-production elements, recording large acoustic ensembles, You will manage the studio environment with an orchestra or large ensemble, and develop your communication skills required to liaise with clients. You will explore the use of main themes, underscoring and the harmonic languages of soundtracks. Coursework consists of compositions to image, in various compositional styles and technical skills required to writing to image. You will critically consider the various roles that music can have when used with visual media. You will create professional quality mixes, remixes and master audio across a wide range of genres and listening platforms. You will explore all aspects of the mixing process, in-depth analysis and comparison of analogue versus digital mixing with focus on technical processes along with aesthetic and genre considerations. The final element of this module focusses on the mastering stage. You will be equipped with a working knowledge of the ethical and fiscal standards of the professional bodies and the practical understanding of the complex legal implications of intellectual property in the music industry. You will develop skills in presenting, creating an industry cv and applying for industry jobs aswell as developing your digital presence online. You will learn the practical and theoretical knowledge in the main areas of studio design and related industries. You will become familiar with various systems and operations using industry software currently used in acoustic analysis. You will work at a professional level in the role of a modern Music Producer in a professional recording studio. You will source a client and plan and develop a project through negotiation with your tutor to facilitate the smooth flow of a project through its various stages from pre-production to completion. The skills gained through this course will allow you to move into a variety of careers within the creative industries, such as music recording, live sound, TV, post-production, education and sound design for multimedia. At the end of the programme, you will have built up an extensive portfolio demonstrating expert technical, artistic and professional abilities, giving you the cutting edge needed to gain employment in this exciting and varied industry. You will also have the required business skills which will enable you to start your own freelance practice. Students over the age of 23 years of age on 1st January of the year of the course is classified as a Mature Student.Mature applicants are advised to apply directly through the college using the ‘Apply now’ button below. Entry onto our Degree Programme is based upon a course interview. Applicants will be asked for a detailed CV. Applications should be made before the 31st August the year of the course. Yes, there will be some questions about music. You won’t be asked to play an instrument as it’s music theory that we are interested in. We will test your knowledge on scales, chords, time signatures and rhythm, amongst other things. This takes place in a chatty, comfortable atmosphere. 2% PFL Charge is included in all of total course fees above. This charge is incurred to finance arrangements required under Part 6 of the Qualifications and Quality Assurance (Education and Training) Act, 2012 to ensure protection of enrolled learners.